Many years ago a man and his two handy blades, jagged though they were, turned an entire crime organization on its head. Sometimes, when there was another ethereal controller being beside him, he was joined by his fellow anti-gang affiliate. 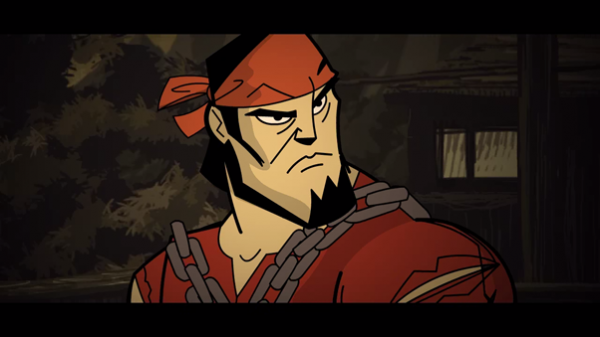 This man, named Shank, armed only with twin shanks (and meat cleavers, and a katana, and a chainsaw, shotgun, SMG and dual pistols) brought frenetic brawler action complete with weapon fast-switching and combos along with crisp art and high-tier animation quality, and it appears that Klei Entertainment aims to give him shank-tion to do it again. 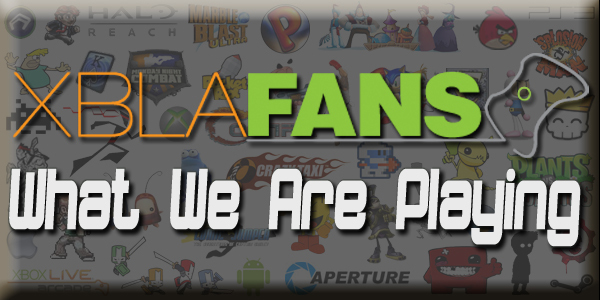 We here at XBLAFans were lucky enough to score an interview with Klei Entertainment’s CEO, Jamie Cheng. Take a look at what he had to say after the jump. 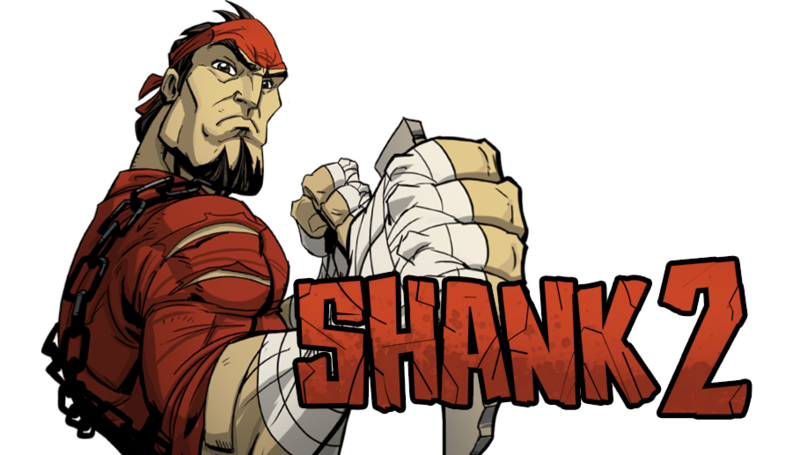 XBLAFans: In your heads, did Shank 2 always exist, or is this sequel a product of fan feedback, or a bit of both? Jamie Cheng: We didn’t really think about Shank 2 until we shipped the original. Then after looking back, seeing that fans loved it and wanted more, we said “yep, there’s lots to explore here,” and set out to do it all again. XF: What kind of improvements are we going to see regarding the impressive animation system from Shank? JC: Thanks! Shank 2 has a ton more detail in the characters to match the graphic novel style — looking at Shank side-by-side with the original really shows the difference. We also ended up with about twice the amount of animation to support things like the added combat systems, more enemy types and two separate, playable characters. XF: How have player’s complaints about controls and boss battles been addressed? JC: I think those complaints were very much fair. In terms of the controls, we took a long, hard look at the controls, and then decided to rebuild it from the ground up. Marcus, our combat designer, has been using our new tools to painstakingly position our frame-transitions and hit boxes, and we’ve also been soliciting dozens of players try the controls out and give us feedback. So far every single person has told us the controls feel far more responsive. For bosses, the approach we’ve taken is to treat them like classic pattern-based bosses with a straight up fight-mechanic, rather than a find-the-weakness approach of the original. The result is that players can now use the skills that they’ve been practicing in the rest of the game, rather than treat it like a puzzle where they have to figure out the one weakness. Interestingly, I had multiple people come up to me and tell me they LOVED the way the original bosses were designed, but personally I think the Shank 2way is not only more fun, but can be enjoyed by a wider range of players. XF: Shank had a separate story for the coop which was local only and featured some cool coop-only attacks. Will the approach to coop be the same in Shank 2? JC: Co-op this time around is created as a Survival Mode. We focused heavily on making co-op something that you can replay, and made a mode where cooperation is really important. Personally, I found the Shank 1 co-op campaign really cool, but I’m enjoying Survival Mode even more. The mode lets you play Shank in a different manner and adds mechanics that make you want to play together. The mode is also online-enabled, which was probably the number one requested feature for Shank. Just the other day I saw it running at 60fps between Vancouver and San Francisco, so that’s a pretty good sign. XF: The cutscenes in Shank, along with the side-panels that showed up in-game, were great touches. Are they back? XF: Control-wise, we’ve read that the “pick up stuff” button isn’t mapped to X anymore, what other handling changes have been made and why? JC: Oh my god. I don’t know why we thought (X) to pick up was okay. Other tweaks include: using the right stick to dodge instead of holding block, allowing the use of the d-pad for movement controls, and 360 degree accuracy in shooting (instead of set angles as in the original). There’s probably a bunch more I’m missing here. XF: The light – heavy – ranged mechanics are a staple of the genre and of Shank gameplay, have any changes been made to that? JC: That stays, though we’ve added to the combat by introducing two new mechanics. 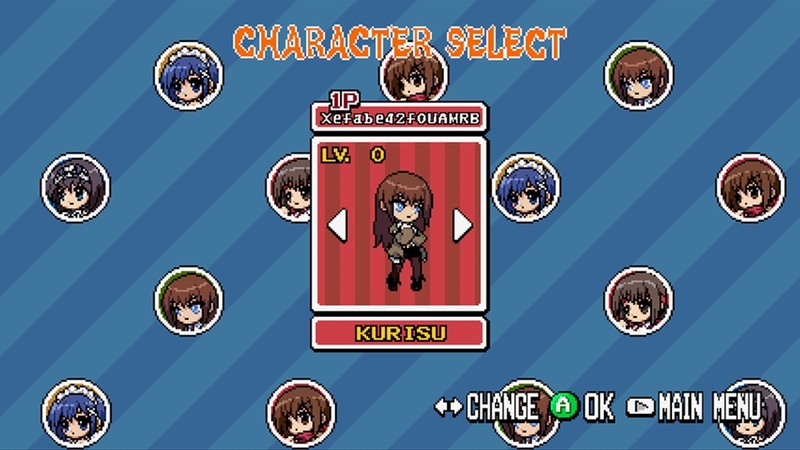 First is the counter moves, where players time their grabs and execute a reversal on the enemy. The second is that Shank now picks up weapons dropped by enemies, which lets you mix up your combat as you use limited time items, just like the good old times in Double Dragon. Except in Double Dragon you don’t get to decapitate a guy with their own shovel. XF: Since Shank, a couple really great Xbox Live Arcade brawlers have been released, have you guys found any new bits of inspiration since the original Shank? JC: Honestly, I’ve personally really just been focused on our own title. I always did like Dead Samurai for the precise controls, and I know Marcus is continually referencing and researching. 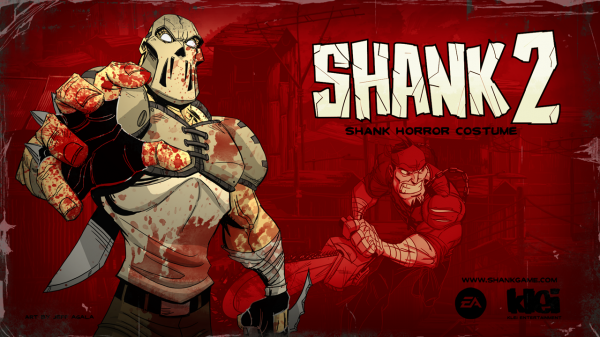 I’ve also been hearing developers and publishers using Shank as a reference for future titles. It’s great to see something that came out of the proverbial garage affect future games. XF: What were some of the thoughts immediately after Shank‘s release? What were some just before Shank 2 was going to be a sure thing? JC: Right after release: *exhale* followed by a rollercoaster of seeing players both love and hate the game. Personally I think it’s far better to make a game that’s polarizing than one that everyone feels “okay” with, and with that we certainly did our job well! Right before Shank 2was going to be a sure thing: By then we had done a ton of research, and actually already just went ahead and began prototyping sequences and tools out. So I guess the thought was simply that we were going to do this, even before we finalized another partnership with EA. XF: Shank had roughly a dozen costumes to unlock and choose from including a shoutout to fellow Xbox Live Arcade game Deathspank. Will there be more customization in Shank 2? JC: Yes! The costumes in Shank became far more popular than we would have thought, and we’ve got over a dozen different costumes to unlock this time around. XF: Will customization be tied to challenges, or will they be separated? JC: We’ve got a whole section of medals in Shank 2 that tie to achievements and costumes. Some of these are unlocked in the campaign, while others are tied to challenges in Survival. For example, we have one tied to not purchasing any items in the Survival Shop for a certain time, and another to finding a hidden object in the Campaign and killing someone with it. XF: Any bonus bits in Shank 2 for playing Shank? JC: Good question. Last I heard we were seeing if we could do that… I have no idea. XF: When can we expect this flurry of blades, bullets and blood to make its triumphant return to the Xbox Live Marketplace? Interested in seeing what they’re working on? Check out some footage from the upcoming brawler here.